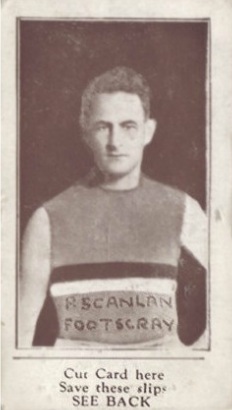 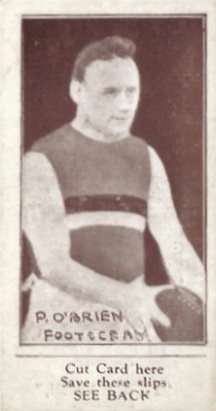 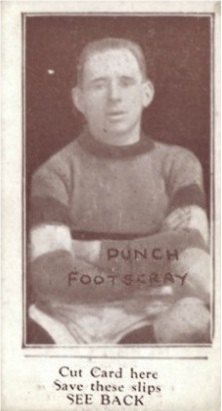 According to Damien Green's football card website, the 1926-28 set of Suburban Premium Cards was the second set of Suburban Premium cards in Victoria. 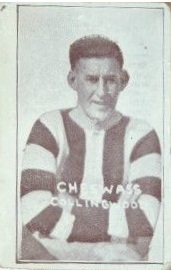 The earlier set were released between 1921 and 1925. 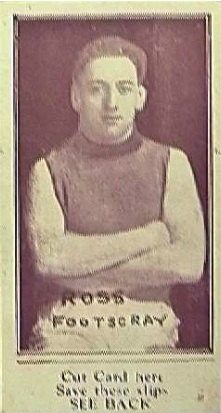 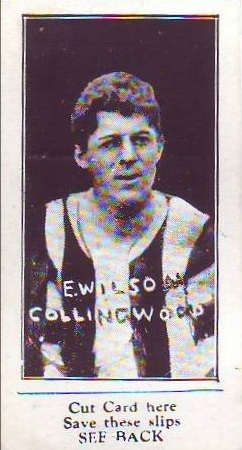 The first set of cards can be found at Australian Rules Football Cards. 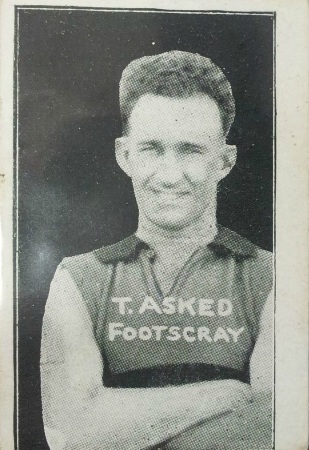 The Suburban Premium Cards were released to the public through a range of small businesses. 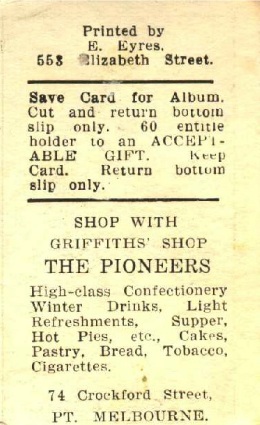 An advertisement for the business was printed on the back of the card. 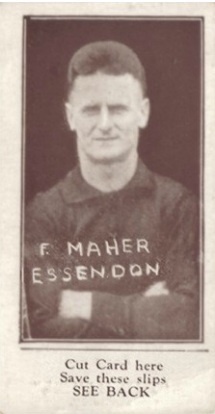 One difference between the two sets is that the second set has the players name and club hand written on the front. 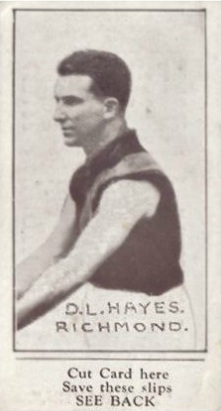 The printer of the cards is listed as "E.Eyres" of 553 Elizabeth Street. 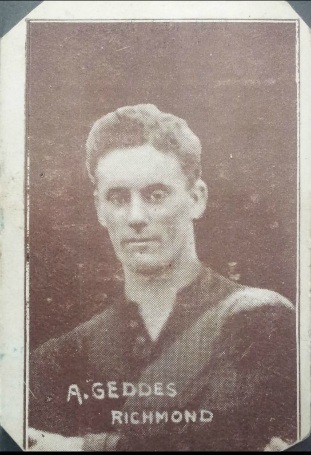 A notice appeared in the Argus 21-Aug-1928 reporting the retirement of Eyres. 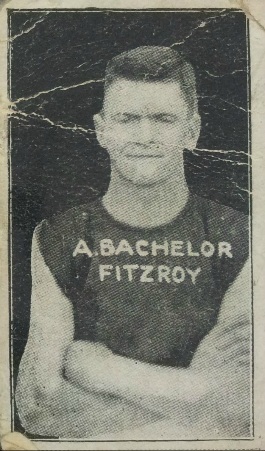 NOTICE is hereby given, that the PARTNER SHIP heretofore subsisting between JOSIAH GEORGE TREVENA, and EDWARD AUGUSTUS SAMUEL EYRES, carrying on business as printers, at 553 Elizabeth street, Melbourne, under the style or firm of Reliance Press," has been DISSOLVED by mutual consent, as from the 7th day of August, 1928, so far as concerns the said Edward Augustus Samuel Eyres, who retires from the said firm. 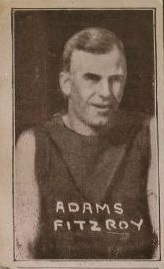 Dated this 20th day of August, 1928. 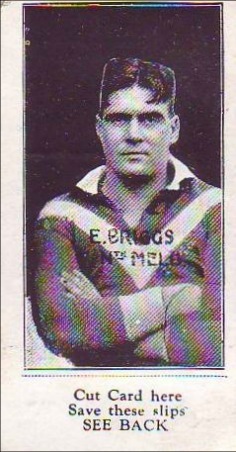 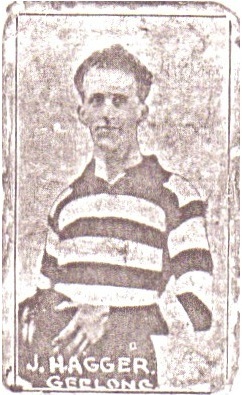 E. A. EYRES. 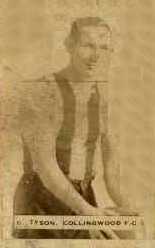 Malleson, Stewart, Stawall & Nankivell, solicitors for the said Edward Augustus Samuel Eyres." 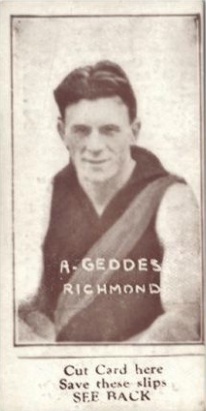 Note - The images on this page were sourced from Australian Rules Football Cards. 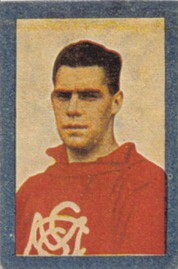 The cards on this site were sourced on 4-Sep-2012. 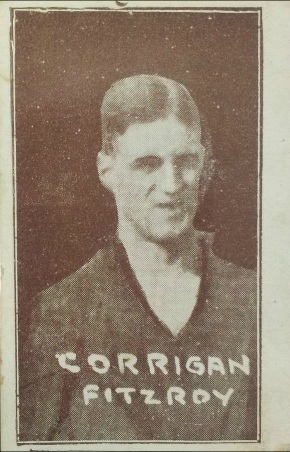 Please check with the Source website for updates and amendments. 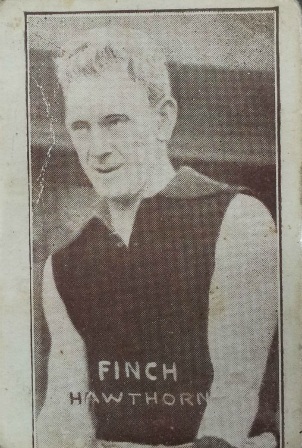 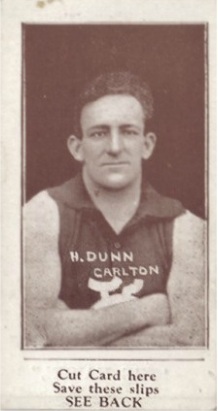 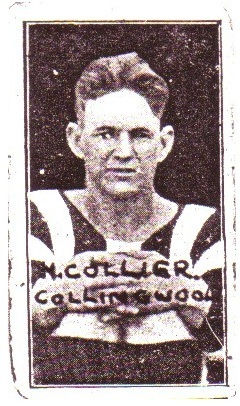 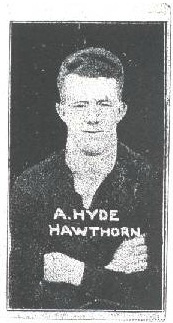 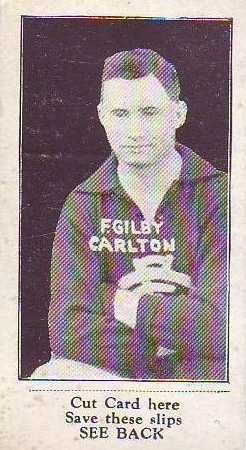 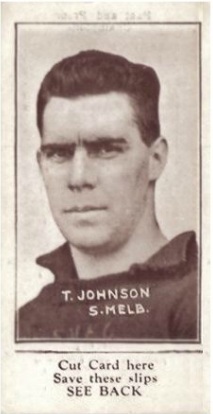 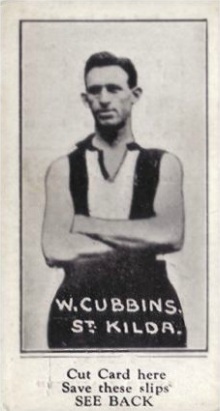 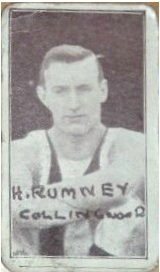 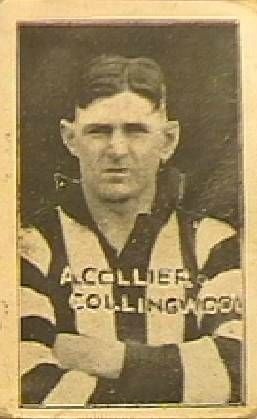 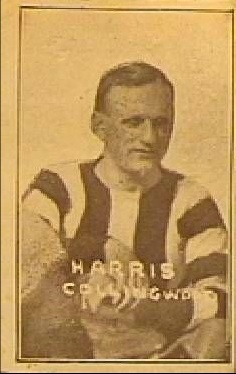 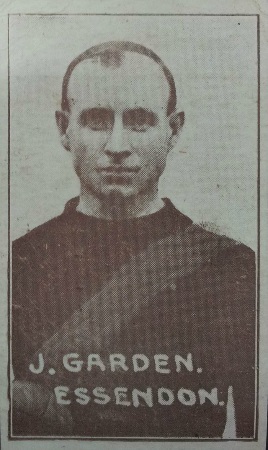 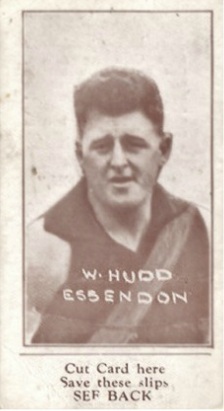 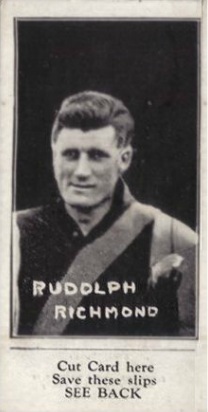 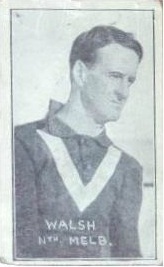 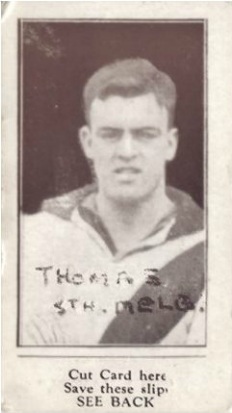 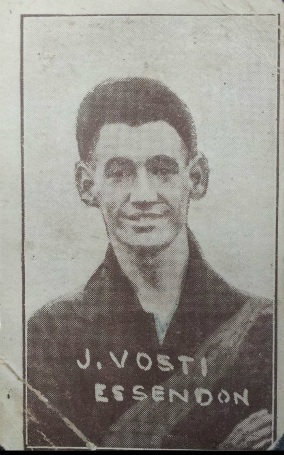 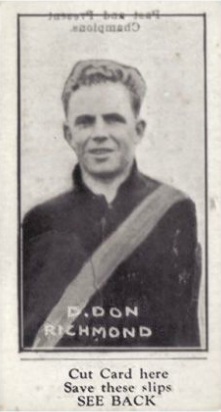 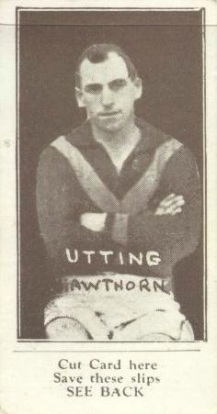 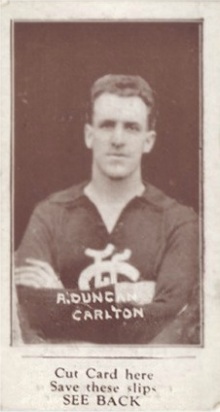 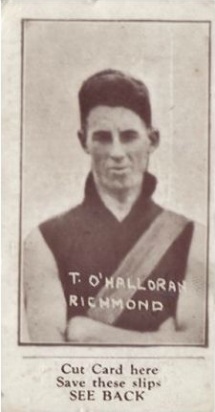 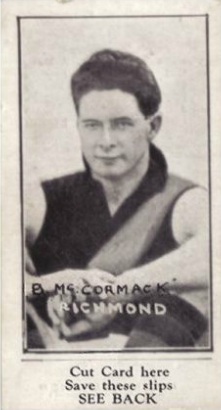 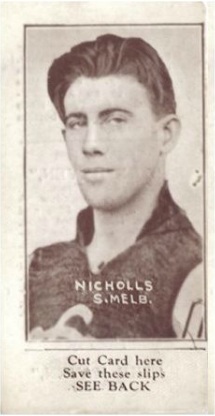 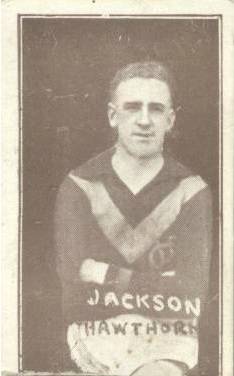 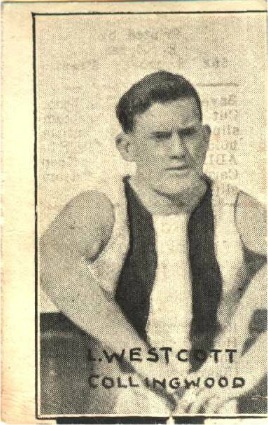 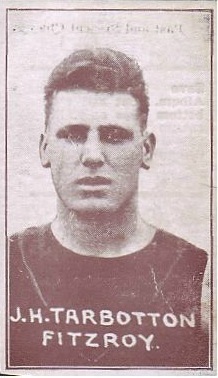 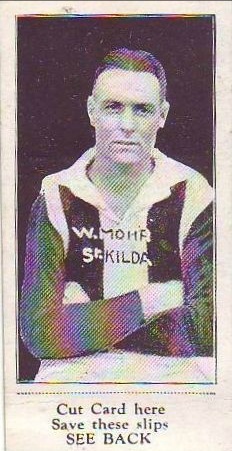 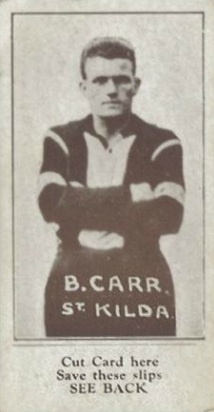 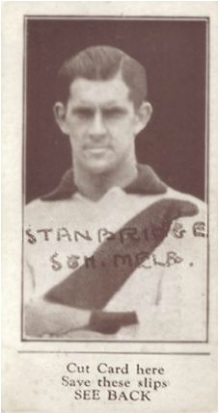 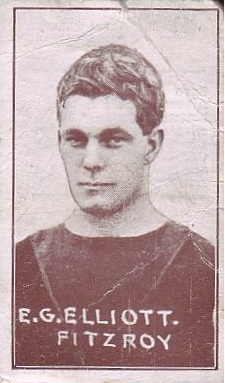 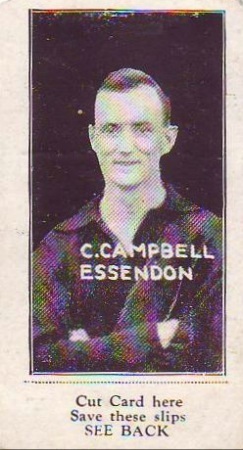 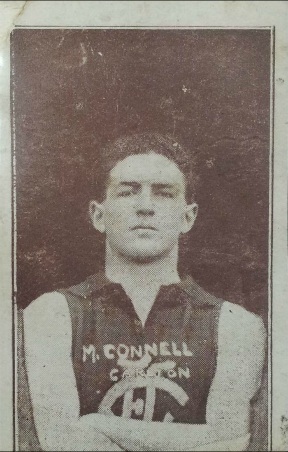 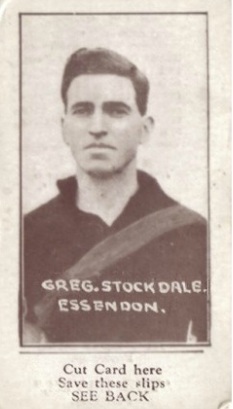 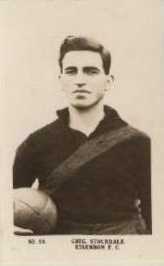 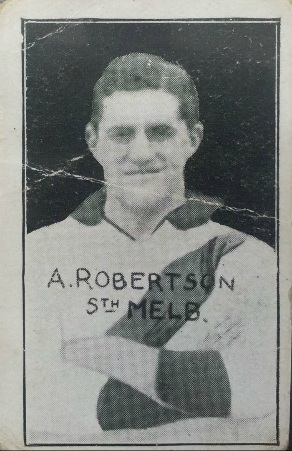 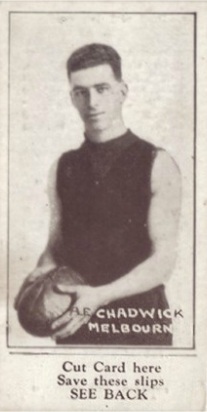 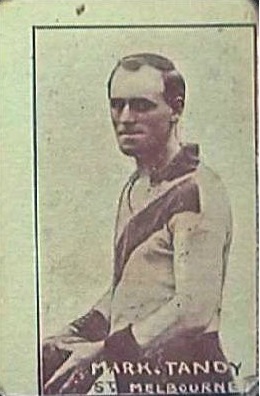 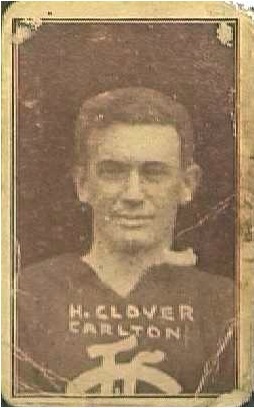 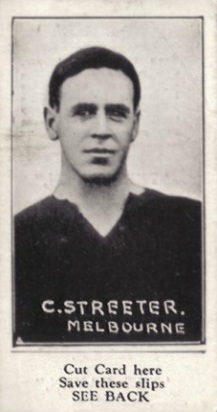 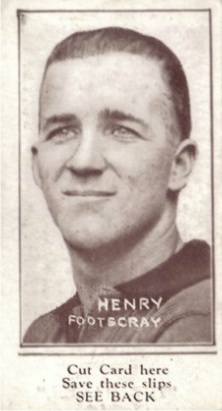 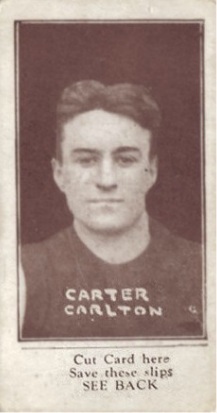 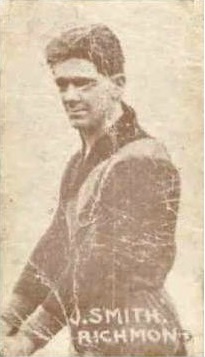 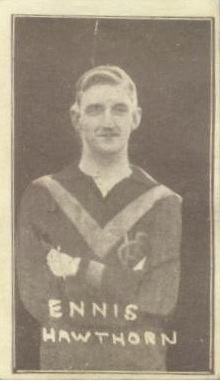 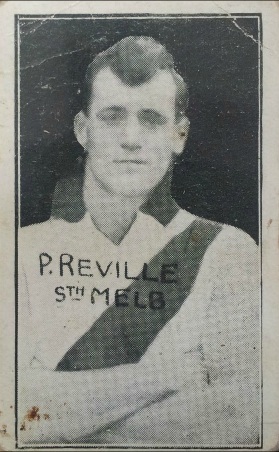 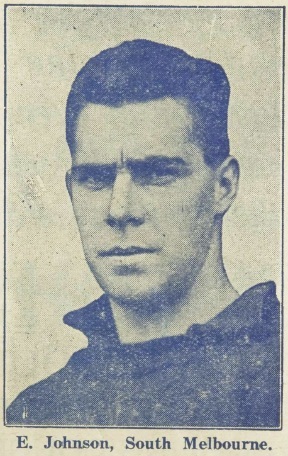 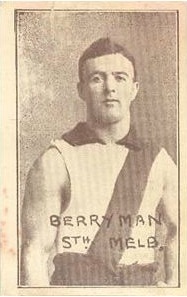 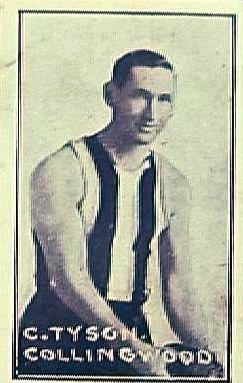 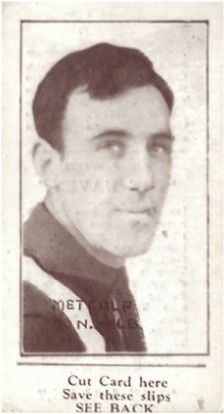 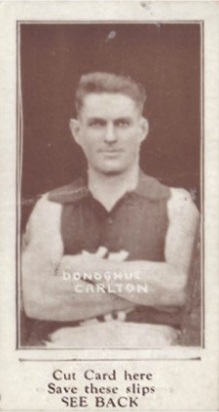 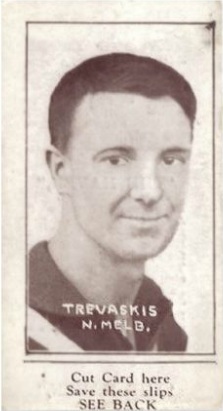 A number of images are also taken from the 1923 Magpie Portraits of Leading Footballers. 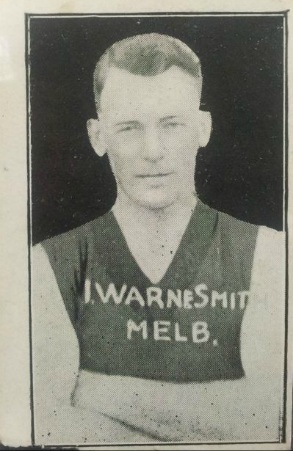 They appear to have white backgrounds. 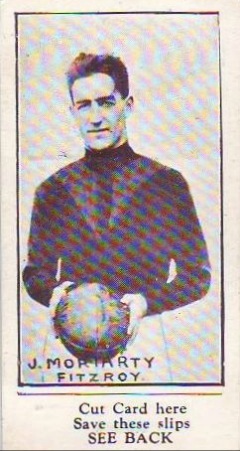 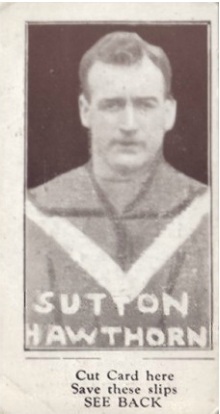 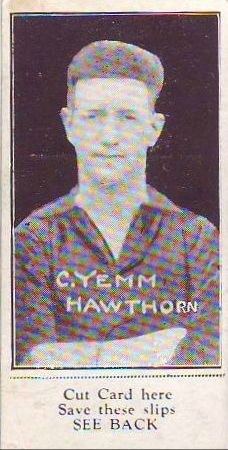 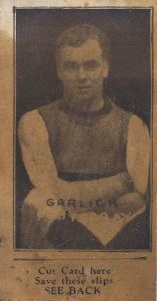 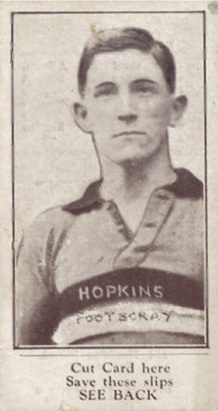 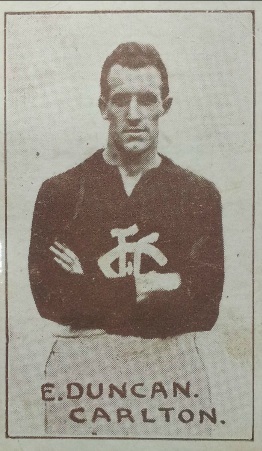 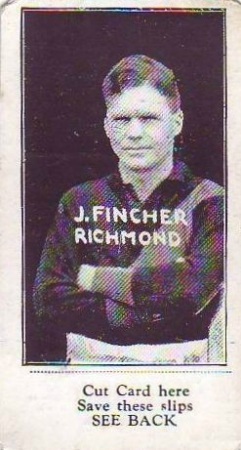 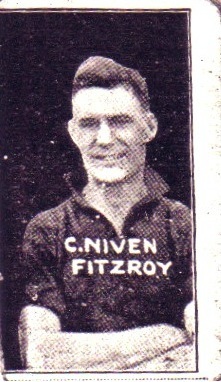 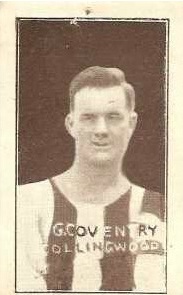 A number of images also appeared in the 1926 Craig and Hales Footballers and Racehorses Series and in the Football Record. 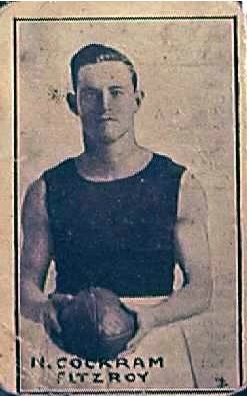 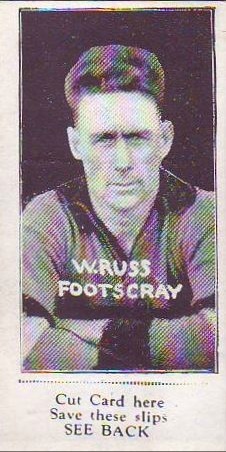 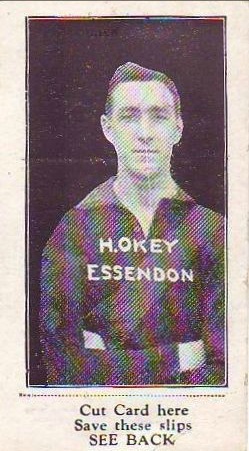 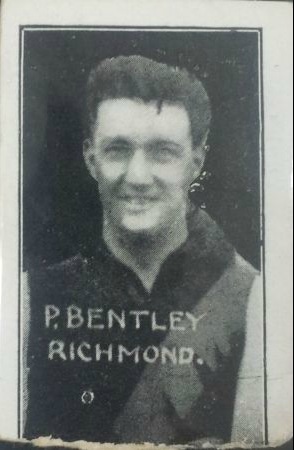 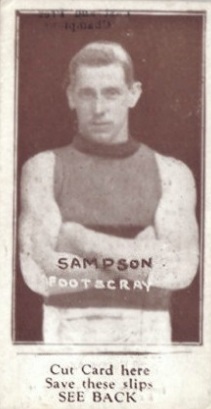 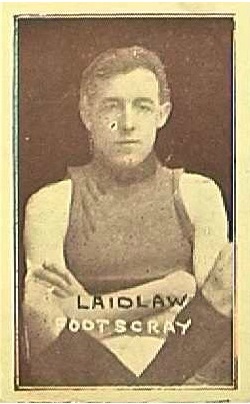 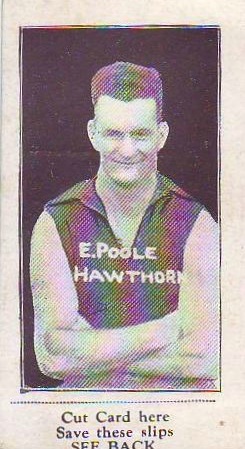 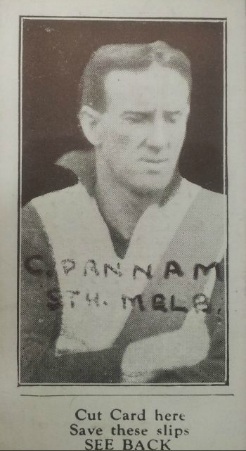 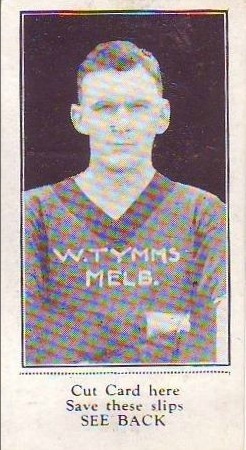 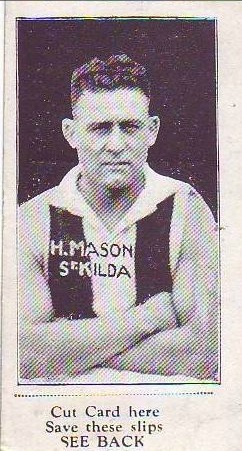 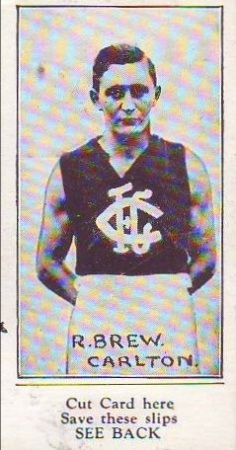 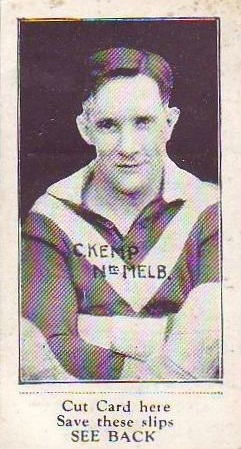 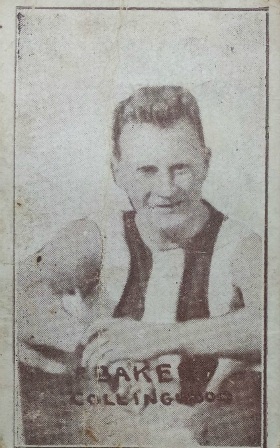 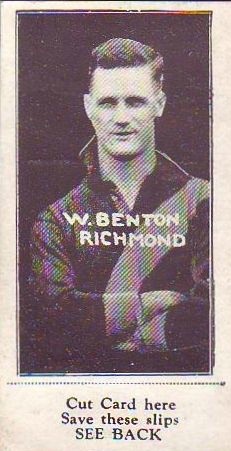 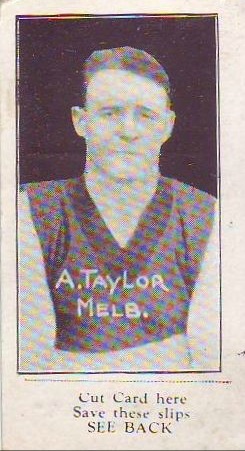 There are two Sampson's who played for Footscray in this period; Reg Simpson played in the early 20's and John Simpson played from 1929.